Way Out Wednesday: Matt Robinson, "My Name Is Roosevelt Franklin"
One of the most fondly remembered Muppets from the early days of Sesame Street was Roosevelt Franklin. He was voiced by Matt Robinson, who played Gordon on the show. (In fact, this album was a reissue. 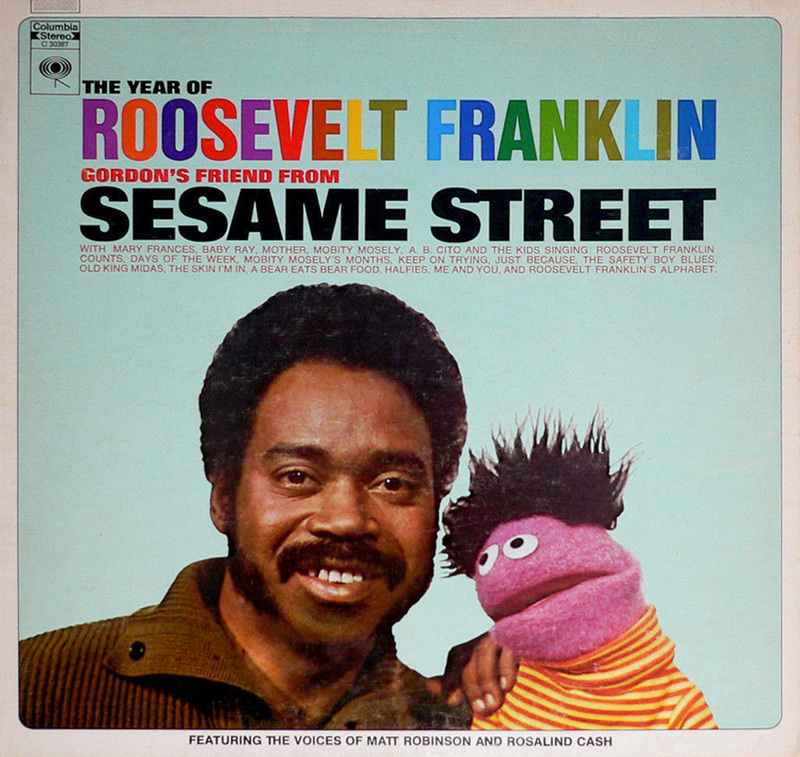 The original title of this album was The Year of Roosevelt Franklin, Gordon’s Friend from Sesame Street, and Robinson was featured prominently on the cover.) The songs on this album were also written by Robinson, along with Joe Raposo. Here are a few samples from the album. In the first song, “Roosevelt Franklin Counts,” not only does the boy prove to his mother that he can count to ten, but it gives us a chance to meet the other members of the cast: Roosevelt Franklin’s mother (voiced by Rosalind Cash), his sister Mary Frances (also Cash), his little brother Baby Ray, and his Spanish friend A.B. Cito. While this record does get into things like the alphabet and the days of the week, I admire the fact that it gets more into just being a better person. In this bouncy song, Roosevelt sings about the classic story of King Midas, the man with the golden touch, and what it teaches us about being greedy. The next song is a duet between Mary Frances and Baby Ray. She sings to him the importance about not giving up. Too wise to hurt some other guys. Just because you want them to. It’s a simple but powerful message, and it’s performed beautifully by Robinson. The character of Roosevelt Franklin was dropped from the show in 1975. Some say it was because he was seen as a negative African-American stereotype. I disagree. I felt he was a very memorable character with a strong personal identity. Matt Robinson left the show in 1972 to pursue writing screenplays and other interests. Tragically, he passed away in 2002 due to complications from Parkinson’s disease. , a three-CD set of old Sesame Street albums which really is a lot of fun (and highly recommended by me). If it does well, perhaps they’ll get around to re-releasing this album as well. Until then, you can hear it here.